When I have great ambitions to re-create a favourite food product at home, it usually takes the right moment of inspiration to push me along. Or, it simply takes remembering to snap the photos before the husband and I eat the entire batch (such was the case with my vegan cookie recreation from Zephyr Café…doh). 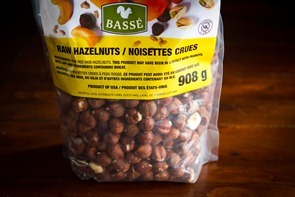 This time, my inspiration came from spotting a huge bag of raw hazelnuts at Costco. I knew it was time to try and re-create my beloved Rawtella! Rawtella is just about one of the best spreads I’ve ever tasted. It’s made with raw hazelnuts, coconut sugar, and cacao nibs. My favourite is their coffee flavour which includes ground coffee beans creating a super crazy intense chocolate flavour. Ohhhh yeaaaaa. 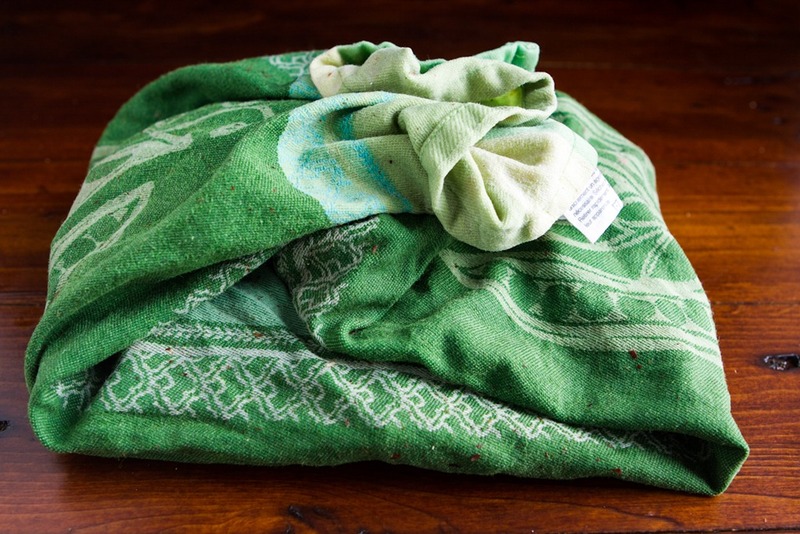 Now all you do is grab an old damp tea towel. Key word being OLD because this makes a huge mess! Place the roasted nuts on the damp towel and wrap the towel up as shown below. 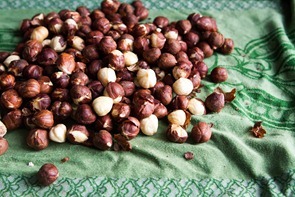 Rub the hazelnuts vigorously with the tea towel to remove the skins. At this point, remove the nuts without skins and place them in the processor. Keep rubbing the others, but it’s ok if all the skins don’t come off. Mine never do!! Yes, it took a full 15-20 minutes for my processor to get the nutella as smooth as I wanted it. After you add the coconut sugar, it thickens up a lot, but if you keep processing and scraping down the sides, it will heat up and thin out. Patience is key here. I know, I know, it’s hard when you just want to grab a spoonful of your homemade nutella. I didn’t say this would be easy. But, you’ll be rewarded with a silky, intensely chocolate mocha latte frappe espresso (or something) knock-off of the store-bought stuff at a fraction of the cost. It probably goes without saying, but this would make a lovely gift for that special chocolate-crazed someone! Aka, me & YOU! 4. Now add in the rest of the ingredients slowly and keep processing and scraping down the bowl for another 5-10 minutes, or until silky smooth. It took me 15-20 minutes total processing. The sugar will thicken up the spread significantly, but keep processing and the heat will smooth it out once again. See here for nutritional Info. – I assume you can sub another sugar in place of the coconut sugar. Add it to taste. I don’t recommend using a liquid sweetener like maple syrup because I find it can produce a strange thick texture in nut butters. Want to know a secret? I don’t think I’ve ever had actual Nutella before – (just Rawtella as an adult). Is that weird? I don’t find Nutella is as big here in Canada as it seems to be in the US (or maybe I just lived under a rock as a kid). Man, I’ve been desperate for a nutella substitute. I didn’t know about rawtella, but I’ll be making this soon. Justin’s nut butter makes a yummy chocolate hazelnut butter that is much less expensive than Rawtella. It doesn’t taste like candy the way nutella does either. I knew I should have bought hazelnuts at the farmers market yesterday!! I love the mocha spin on this. And the ingredients are much better than Nutella (which they are trying to market as a healthy spread for kids. Ha!). I’m surprised at the long processing time of the rawtella–but I suppose the best things do take time :). I think that’s terrific you’ve never had Nutella. This version is much better! I was surprised too! I think it was from the granulated coconut sugar, it really thickened it up for a bit. Thankfully the heat thins it out after a while. YUM. This makes me wish I had a Vitamix. Why must they be so expensive? I’m not sure my tiny little food processor will take the beating! I found several old school vitamix on ebay going for about $75.00. I have heard that the older ones have stronger motors. That’s what I have. Wouldn’t you know I have hazelnuts in my fridge that I just bought for the first time the other day to make some raw brownies? Raw brownies with hazelnuts sound amazing!! Uh…yes please. I’ll take that slathered on my toast, in my oatmeal, whirled in a smoothie, on my boot. What? When you have something that awesome, it makes ANYTHING taste delicious! Cannot wait to try this! I made your Pumpkin Gingerbread loaf for Thanksgiving–it was a hit! I’m happy to hear that Christine! Happy belated Thanksgiving. That pumpkin gingerbread is the bomb! My co workers beg me to bring that into work for them–they were shocked to find out it’s vegan. I love that! Also made your lentil soup to give to a neighbour who is sick and she declared it the best lentil soup she has ever tasted! Thanks for making me so popular! That is one of Eric’s fav desserts of all time. It doesn’t get made enough according to him…heh. Im happy your coworkers and neighbours are enjoying the recipes. You are a good friend to have! 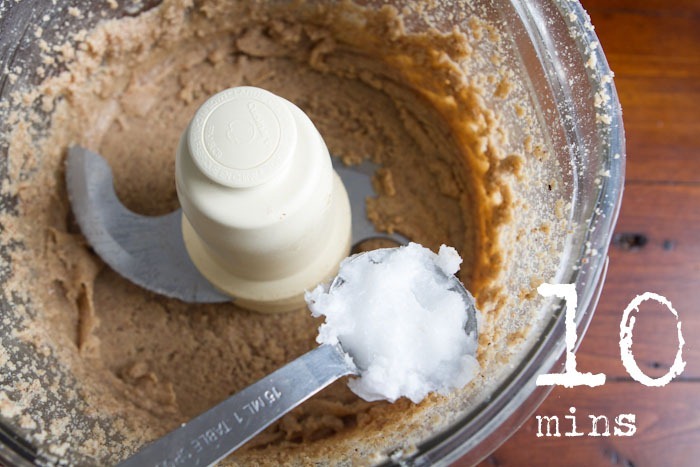 I have been on a homemade nut butter kick, but never thought to try hazelnut. This spread looks incredible! Speculoos is a cookie butter spread. Kind of a spiced gingerbread cookie flavor- its totally unhealthy tho like the real nutella- I bought mine at trader Joe’s last year but its sat in my cupboard with only 2 tbl gone from the jar……. too sweet for me. Or maybe spread some of your chocolate hazelnut butter on a speculoos cookie…. now I’m hungry. Haha. Actually speculoos isn’t made from butter but the speculoos biscuits (which are basically like a light but crumbly gingerbread) are blended with a vegetable oil to make the spread. So it’s not *as* unhealthy as other commercial spreads you can buy…but it’s so delicious! Unfortunately, at least in Europe, the spread is very hard to find outside Belgium. The biscuits themselves you can find all over the place though. Rawtella that sounds so good I never even knew there was a healthy version for Nutella or even possible to make it. 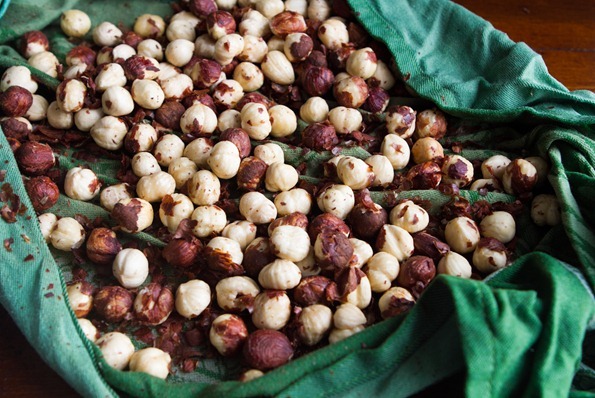 I cannot wait to get a hold of some hazelnuts and try this yummy treat. This looks great…I’ve been wondering how to make home-made, healthier Nutella for Christmas gifts for my colleagues (I live in France and Nutella is big here). I had been thinking of melting dark chocolate and mixing it in…have you tried that? I suppose that might be too much (although, honestly, can there ever be too much chocolate?). Just curious..we do you have to refrigerate this? Most other nut butters can be left in a cupboard. Enjoy your rawtella! Oh and by the way, I made your lentil loaf, rice pilaf and pecan-crust pumpkin pie (YUM) for my (belated) Thanksgiving dinner this Saturday…all were big hits! I suppose you don’t have to refrigerate it, but I suspect it lasts longer when it is. 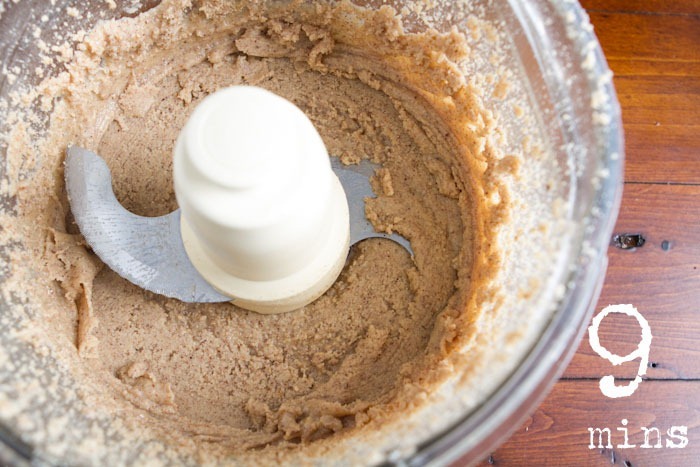 My homemade nut butters often last over 1 month in the fridge, so I’m hesitant to leave it out. I’m happy to hear you enjoyed the recipes for Thanksgiving! i’m completely drooling over these – yum! Mmmm Nutella is my favorite! I bet the coffee flavor makes it taste amazing! So excited to try this. This is exactly what I was looking for! I decided to make homemade nut butter of some kind as some Christmas gifts. I saw a recipe in a popular gourmet food magazine last week for homemade Nutella, but it had heavy cream and other stuff that I wouldn’t use. This recipe fits the bill! 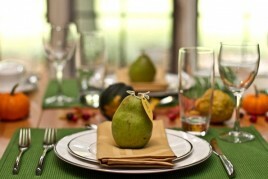 By the way, your recipes made up the most of our Thanksgiving table: the “revisited” lentil-walnut-apple loaf; Spinach, cranberry and pear salad with candied pecans and balsamic dressing; and the gluten-free pumpkin pie with the pecan crust. Thanks! Aw that makes me happy! Thanks for trying out the recipes. :) Happy belated Thanksgiving! Enjoy the “nutella” if you make it. I was just at Costco over the weekend…guess mine doesn’t have hazelnuts or cocoa. Will definitely be checking in the future! I tried making my own nutella a few months ago and ended up burning the hazlenuts and it did not turn up. Maybe I’ll use your instructions and give it another shot. It sure does look delish!! NNOOMMM!!! This is amazing! I’d love to have this on my shelves! This is a great gift idea too! Woah! I’m excited, thanks! I can’t wait to make this and maybe give some as hostess gifts for the holidays. Just wondering if I missed the recipe or post on the Zephyr cookie experiment? Every time we head to Squamish or Whistler we go there so I can pick up a couple cookies. I would LOVE to make them! Thanks as always for your wonderful recipes. I never had Nutella until my senior trip to Europe – street vendors in Paris were selling huge nutella crepes for a Euro or two. I have to admit they were incredible!! My fiancé is Austrian and we go there every few years and Nutella is huge!! As a contrast, most of them have never had or heard of peanut butter!! This looks great – perfect for the holidays! ^ Almonds instead worked? Cool, I’ll have to try that, I actually have a huge bag of those right now, as oppose to hazelnuts. Then later when I can purchase the latter, I’ll re-make this with those. 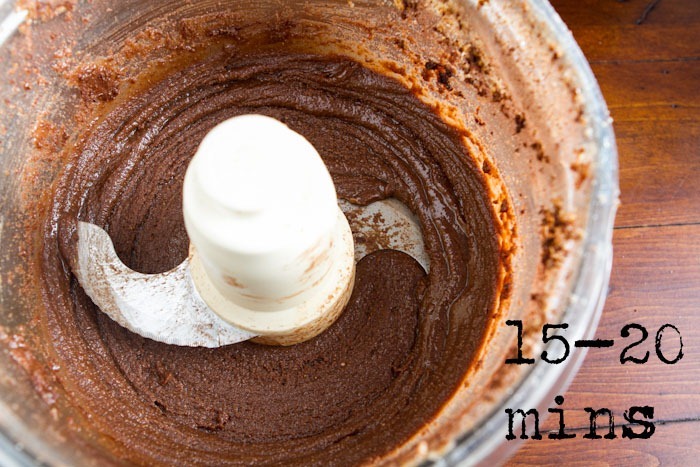 I so love nutella and this recipe is amazing. Imagine how you could cut the cost from buying the commercial nutella. 15-20 mins of waiting isn’t that bad. I’m surely gonna try this homemade sweet at home. Thanks for sharing Angela! 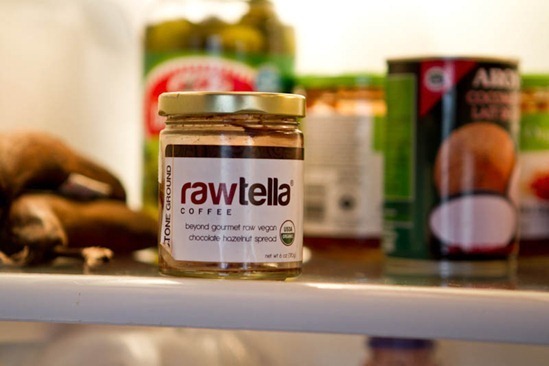 I’ve wanted to try rawtella but it tends to be so pricey. This looks delicious though! Chocolate and coffee are a beautiful thing. This looks wonderful! I am so happy I can get all the ingredients in Ottawa. :) Project for this weekend, as I am due to go to Costco. Thank you for another amazing recipe. I love Nutella! 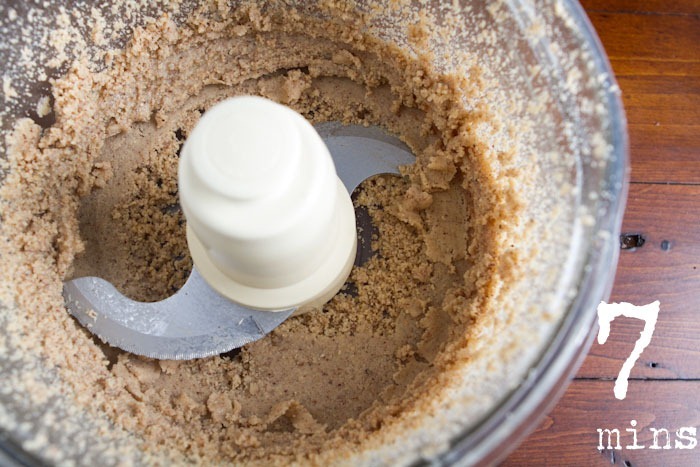 This post makes me want a food processor even more than I already did! I know what I’m asking Santa for this year. Not only does this look deliciously yummy, but that first photograph is beyond amazing. One of the best I’ve ever seen on your blog. What skills you have! this looks delicious Ang!! 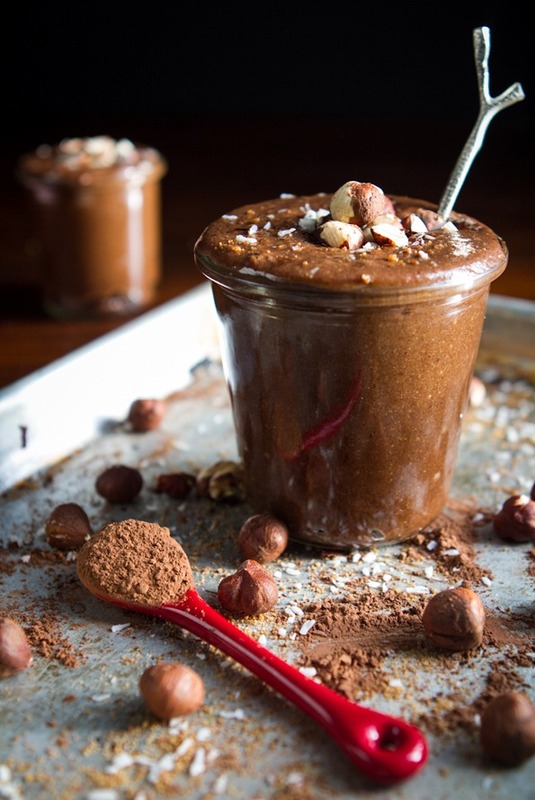 My sister loves nutella – I had planned on making her a jar of your dark chocolate almond butter for Christmas but maybe I’ll make this instead! :) Thanks! I think I just had a food-gasm. I thank you from the bottom of my heart! I’ve been hearing so much about Nutella this season and was shocked to see how many people think that it is a healthy food. I loved Nutella as a kid, but as adult I refuse to buy it; that doesn’t stop my mouth from watering every time I pass it in the supermarket though. This sounds like a great alternative, I can’t wait to try it! Also I had no idea that Costco sells organic coconut oil in bulk, I find myself scraping the bottom of those tiny jars at least once a month. 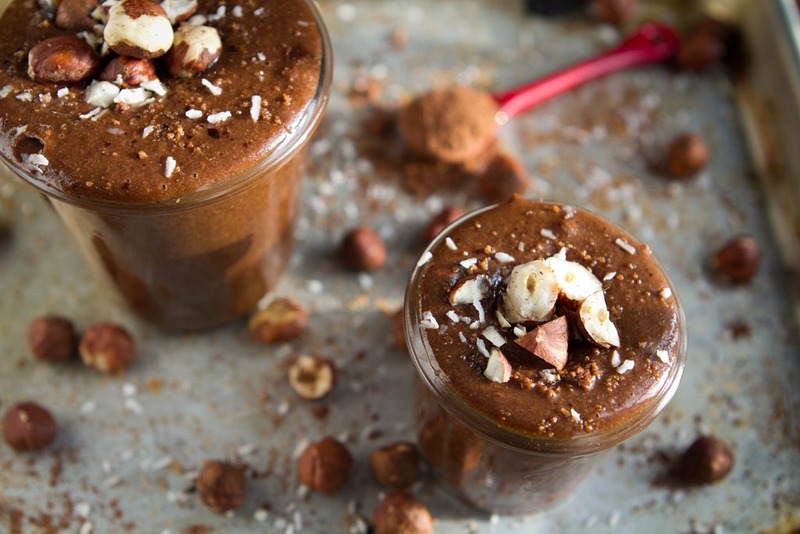 I love that this is a naturally sweetened version of Nutella…I had a Nutella latte the other day at a cafe and wanted to create a healthy Nutella at home so I can replicate that drink! Laughing–I felt exactly the same way when I saw that first photo. Has anyone heard of or tried the new attachment jug for the BlendTech blender? I think its called the turbo twist jug. 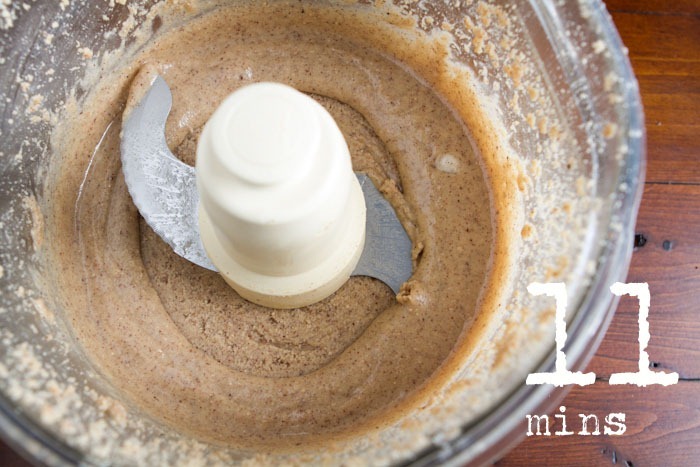 It boasts about being super fast at making nut butters. Angela, why did you use your food processor and not your Vita mix? Hey Mary, I’ve been wondering the same thing too! I’d love to see how it works. I wonder if there is a youtube review of it yet? I dont use my vita for nut butters because I find it annoying to scoop out and I always have some go to waste that I cant get out of the base. First time here and I like what I see. Very professional looking photos and this nutella looks freaking amazing. I’ll forward this over to Lacey who I’m sure would love to try this recipe out. BC born and bred on Nutella! House staple growing up. Ours was always peanut butter…I guess I can blame the family genes for my PB obsession! This looks incredible! I may have only had Nutella once or twice as a kid. 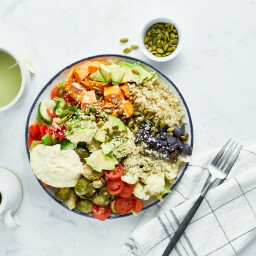 The vegan (and raw!) versions are so amazing that I can’t imagine I was missing out. Milk and white sugar? Blech. No thanks. All the Nutella fanatics are missing out if they’ve never had the vegan spreads! Hey Georgia, I find that most nut butters I make last in the fridge for at least a month. Ive even had some last 2 months! I hope this is similar. 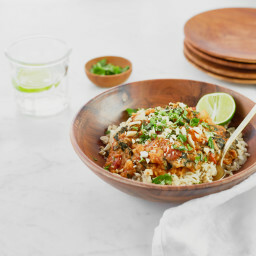 Thanks so much for replying – looking forward to trying this recipe on the weekend! i have never had nutella either ! but since its all over the blogsphere i been wanting to try it lately.. and since theres not rawtella down by me this recipe is def gonna be getting used asap! I was just wondering if you could make this in your vitamix. I know you have one, but chose to use a food processor. I just got a vitamix for my birthday (well, birthday/christmas combo with that price tag) – mine came with 2 jars, a tall one for smoothies, and a squat looking one for nut butters apparently. 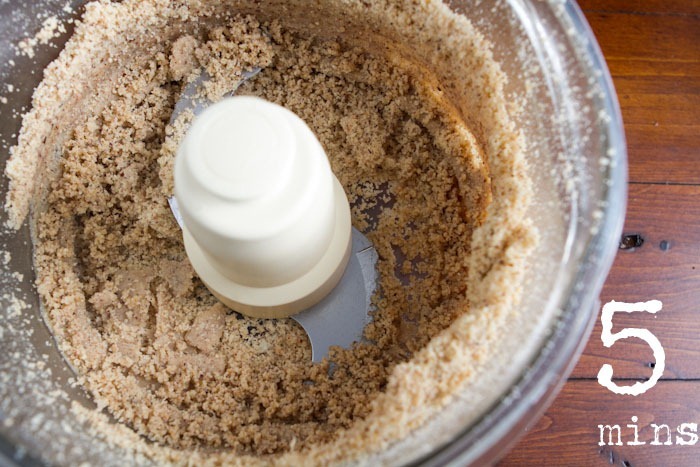 but now this makes me want a food processor…gah! My teeny kitchen is going to have a fit. I think you could! I know a lot of people use their vita’s for nut butters. The reason I don’t is because I find it annoying to scoop out and I find some goes to waste because I cant get it all out. You made it so smooth. I just don’t have that kind of patience. I made nutella yesterday, but I only processed it for a few minutes. It was a bit bumpy still, but I am using it to fill a bread so I don’t think anyone will notice! It would be good either way for sure. 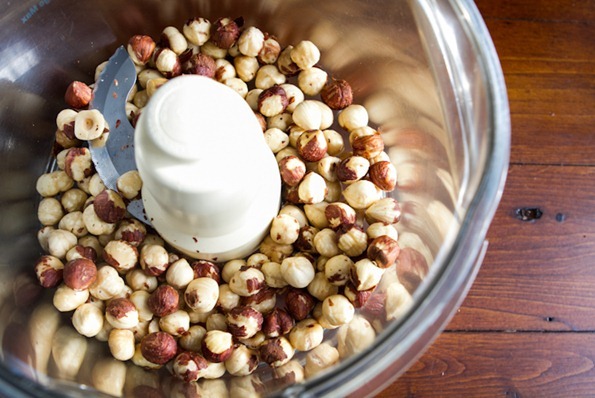 I was actually thinking about stirring in chopped hazelnuts at the end…yum! I love all the recipes you post because you take yummy things and make them a bit (or a lot) healthier and get me thinking outside the box. There’s always some new ingredient that intrigues me to give it a try! I’m glad to hear that Steph! Angela, I want to live in your pictures. Brava! I’ve been loving making my own nut butters! But I don’t think I’ve ever had Nutella either! People seem to adore it, so I should give it a try, and I’d rather make a healthier version than what you get at the store. Thanks! Oh My Goodness Me! This is incredible! I can’t wait to try it out, I used to love nutella and knew it had a place on the naughty shelf, but this heaven of a spread recipe will make my Christmas this year extra special! Thank you so so much. But I never really liked it THAT much. I like the vegan versions though. I never add esspresso, but however, that are just my taste buds! Did you know that Nutella is actually a German product? I am so amazed that it is also known in the U.S. and in Canada. I grew up eating Nutella (like most German kids) – sometimes straight out of the jar. It is something I’ve been missing since going vegan. Your version, however, sounds so much healthier, yet no less delicious. So, thanks for sharing, Ange! I didn’t know that – cool! Enjoy the recipe if you try it out. Yup my Oma and Opa used to have it all the time when I was little. I am pretty sure Nutella is an Italian product? 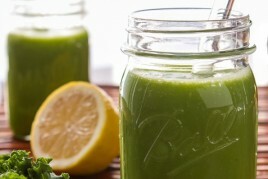 can you make this with your vitamix? I’m asking for one for christmas to make more smoothies, soups and nut butters! Yum. This looks awesome. I don’t think nutella became big in the US until the past few years. Thanks Giada. Ha! I just want to THANK YOU so much for sharing your recipes with us… I am vegan for almost 4 months and I LOVE reading your ideas…Keep it up!!!! aw thank you, Im glad you are enjoying them! This may be a silly question, but can I use instant coffee in place of instant espresso powder with similar results in taste? OMG I can’t wait to make this. Nutella is one of my all-time favourites. We used to have it all the time at my Oma and Opa’s when I was little. I just started following your blog and it is wonderful. I love your photography! 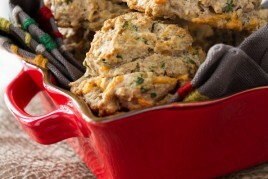 I cannot wait to try this recipe, (and many of your others) to give as a homemade holiday gift. Thank you so much Lisa, I appreciate it :) Enjoy the nutella if you try it. I am desperate for a home made natural Nutella substitute, my kids love it and I sometimes buy it for a treat, but then it gets eaten everyday until the jar is gone. I shall make this today, a good spread for morning toast. Thanks! This looks AMAZING. I am a huge Nutella fan! Can’t wait to try this myself. But other nut butters I eat by the spoonful scooped onto things without prejudice (or shame). This is brilliant and far superior to traditional Nutella. I love that you can control the sugar, where do you buy coconut sugar? I LOVE nutella but I can’t eat it, it’s one of those things where if I allow myself a treat I’ll end up eating the whole jar, it’s way too addictive. This reminds me of my New-Tella recipe… cuts the oil and swaps coconut sugar for fiber-filled dried dates. Love the tip on how to get the skins off hazelnuts. Sure beats trying to find some elves to help! I even use this as a frosting/filling for cupcakes, brownies, and cookies. Killer when sandwiched between Peanut Butter Cookies (I have a gluten-free recipe, not raw, but tasty). I freeze extras (and extra hazelnuts) to keep them out of temptation’s reach. Thanks for the inspirations and education! What a fabulous recipe. I was planning to make homemade Nutella this weekend…think I’ll try your recipe instead of my stand-by from the Veganomicon cookbook. And, I agree, your photo of the finished product is mouthwatering! Actual Nutella is delicious, but it’s chock-ful of palm oil and high fructose corn syrup. So you’re not missing much, I assure you! This looks AMAZING. I was thinking about giving homemade “nutella” as a Christmas gift this year, and this is absolutely the best recipe I’ve found for it. I’m loving the lack of refined sugar. I love, love, LOVE your first picture, absolutely gorgeous styling. This seriously looks AMAZING! Kids live off nutella in Ireland – maybe a slight exaggeration, but it’s a sandwich filler staple and this homemade version is such a great healthier natural alternative! I can’t stand coconut, never have, so what would you suggest I use instead of the coconut oil? 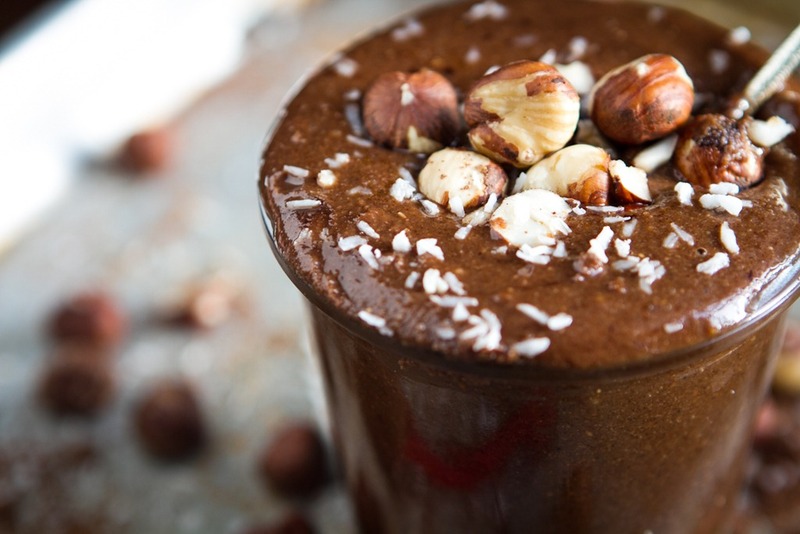 Can you use a super blender, like Vitamix, to make this? I know a lot of people use their vitamix to make nut butter so I assume it could work. Let me know if you try it! I only have a 5-cup Braun food processor – has anyone tried something similar with this recipe? I’m going to attempt it tonight! I love Nutella! I can’t wait to try this. This is a great gift idea too! I’m excited, thanks! I am wondering if you think this would keep for a few days not refrigerated. I am sending a vegan gift package in the mail. It looks so good, but I don’t want to send something that will spoil. Thanks for all of the lovely recipes. Yours is the first blog I open when I check my google reader! Hey Amie, Good question! Most of the ingredients are shelf stable I believe, so it should be fine. The only thing I would leave out would be the vanilla since it needs to be refrigerated (I think?). Goodluck and let me know how it goes! This looks AMAZING and I may have to run to Costco in the morning. In the meantime I have two questions: 1) Can this be made in a Vitamix? How do you think the timing would differ for making the nut butter? 2) Do you have an idea of how long this would last in the fridge? Could I use chicory instead of coffee? Is there a better substitute? Hey Liz, Im not sure I havent tried it before, but you could always give it a shot if you enjoy the flavour. I LOVE your blog! I first made this with almonds because it’s what I had and it turned out AMAZING! I just tried again with hazelnuts and something went very wrong. I bought them in bulk online and I’m not sure if I got a good batch. When I toasted them, I left them in for 13 minutes. The skins weren’t starting to peel but I took them out because I didn’t want them to dry out. The skins never did come off. Then, the stuff just never turned into butter. I had a dried up mixture that tasted great, but that I could never give as a gift. I’m going to give it another try, but I wondered what you think. I don’t very many hazelnuts to waste! Do you think it was bad nuts or bad toasting? Thanks and again, love your recipes! They are probably the most often featured in my kitchen! Hey Michelle, I’m sorry to hear that about the hazelnuts! It’s really hard for me to say what went wrong. Maybe it was due to the skins not coming off (next time maybe try roasting them a bit longer). Also how long did you process them for? It took me about 20 minutes in the processor. Better luck next time if you try it out! I just made this, but unfortunately it didn’t turn out to be the consistency it appears to be in your photos! I’m sad, because I was going to make a huge batch to give for gifts, but I may need to think of something else. I followed the recipe exactly, and I even added some more coconut oil to get the “silky” texture you described, but it is not silky at all! It’s semi-smooth, but it’s still grainy and not something I can picture as a spread. 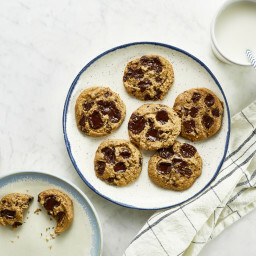 It’s definitely yummy, but do you have any tips to get it to the silky consistency as seen in the photo? I made this last night and it’s delicious, although I’d add less sugar next time. It didn’t thicken up the way you described and it’s a little runny. I think, when I make it again, I’d leave out the coconut oil. Has anyone else had this happen? I have had lots of luck with other recipes on your blog and really enjoy your posts, but I have to say I had nothing but trouble with this recipe. I ended up spending 3 hours…between roasting and skinning and blending…and was left with only a lumpy pile of chocolate flavored (finely) chopped hazelnuts. My version never smoothed out and ended up tasty but much too grainy to be passed off as rawtella. I tried adding more coconut oil, breaking up the batch into smaller batches (thinking my fp was too small)…heck – I even hand mixed it for a while! I was really looking forward to giving this as gifts for some dear coworkers and am at a loss for what went wrong. Hey Annie, Im sorry to hear that! 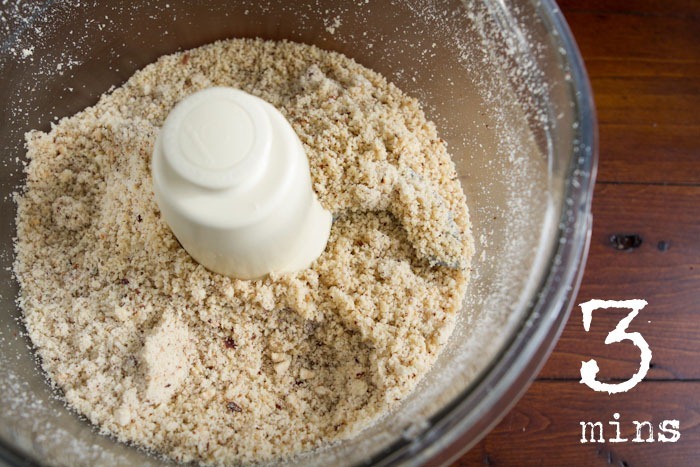 What food processor are you using? It usually comes down to the processor and what it can handle. Just made this as a christmas gift for my younger brother, had to have a sneaky spoon, it’s amazing! I left the espresso out and added cacao nibs after processing, it’s so good! Just finished making a batch! Made it in my Vitamix (otherwise followed your instructions to a tea, minus the espresso powder). It tasted and turned out great. Thanks for constantly challenging me in the kitchen with creative recipes such as this! Oh my gosh!!! I just made your homemade Nutella recipe ( minus the espresso powder because I didn’t have any). Sooooo delicious. I have yet to be disappointed in any of your recipes. Thank you. I have made this using muscovado sugar instead of coconut sugar – it has turned out delicious! I am not sure whether I have not processed it for long enough but the texture has come out a bit gritty (not unpleasantly gritty, just not as smooth as the nutella one can buy). Was yours completely smooth? I don’t think it could be due to what my food processor can handle, it is a Magimix 5200. In any event, thank you very much for the recipe!! 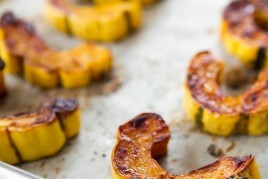 I just discovered your blog – your pictures are so pretty and this recipe looks delicious!! I used espresso grounds instead of powder because Whole Foods apparently doesn’t carry espresso powder. The guy said it would work the same. Hazelnuts were kind of expensive, but a 9 ounce container for $7 came out to the 2 cups I needed. Next time I’ll hit up Costco! You are a genius! This tastes heavenly…Used everything but omitted vanilla extract and used Florida Crystals in place of coconut sugar. I too have never eaten Nutella, but with this lovely, divine concoction, who needs it? Do you think this would work with sprouted, and then roasted Hazelnuts? Perfect for world nutella day! looks really delicious!!! I made this a few days ago with a couple of changes (1/3 sucanat instead of coconut sugar, and more cocoa) and it’s delectable! The sugar in my batch didn’t melt, and i’m glad it didn’t because it gave it a nice crunch. (almost like a ferrero rocher) Thanks for the recipe! After “failing” to improvise on homemade Nutella (largely due to a lack of patience), I followed your directions and it was a complete success! Thanks for this great recipe! How long do you keep this in the fridge for (as far as how long it would take to go bad)? Hi Andrea, I think it will last for at least 3 weeks if I recall…perhaps longer. Enjoy! That sounds lovely! Though I like Nutella, I always found it a tad too sweet for my taste, but in a homemade version you can decide how sweet you want it. Good idea to add espresso powder to enhance the chocolaty flavor. It’s a pity that hazelnuts (cheap in Europe) are so expensive here in the US, fortunately Trader Joe offers them in good quality for a reasonable price. Hmm is is pretty big in Canada or at least in Montreal lol maybe it’s the French background. My roommate’s from Alberta and she was only exposed to Nutella once she went to France. It’s a must at any crepe joint around here and standard breakfast fare, for the decadent at least. Commercials run here touting it as a great breakfast choice for your kids, which is so nuts but maybe better than fruit loops right? In high school I had jars of it in my locker and my friend and I would scoop up spoon fulls between classes. I did make this and am waiting for it to cool down in hopes that the hazelnut flavour dies down a bit. I’d really prefer for the chocolate flavour to overpower the nut butter. Maybe this is closer to what rawtella tastes like (which I haven’t tried)… I think using cashews as a sub would probably be amazing. For sure, feel free to sub any granulated sugar you’d like. Hey Heather, I found it in a regular grocery store in the coffee section – the espresso powder is usually in very small compact bags so it’s VERY easy to miss!! Can I make the Nutella with a different nut? 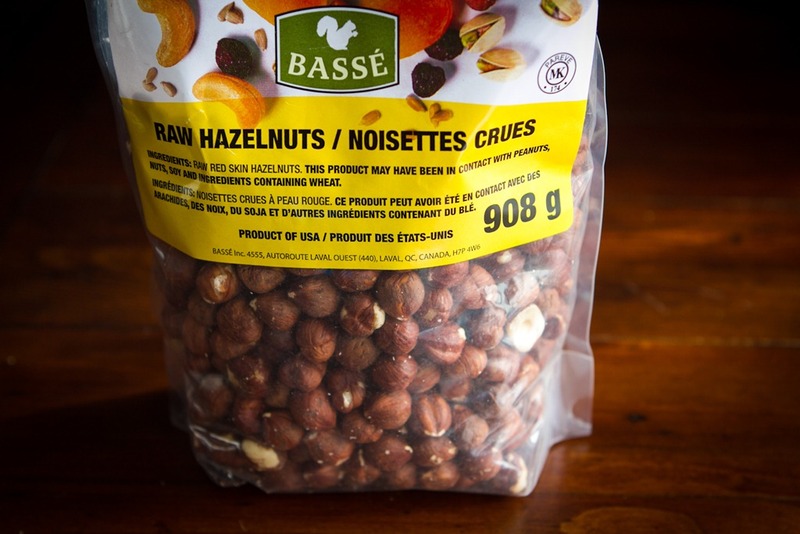 I don’t like the flavor of hazelnuts, but I love most other nuts and always have them on hand. Also can i leave out the espresso powder as i don’t like the flavor of coffee either )I don’t drink it, never have). Would I need to replace the espresso powder with more cocoa powder os something else? Thanks for your help. I love your recipes and your website is awesome. There is now a GIANT 5 LB jar of Nutella (the original) at Costco (Richmond BC). Several of us stopped in the aisle to take pictures. It wouldn’t fit in my suitcase so I couldn’t bring it back to New Zealand with me, but oh I so wanted to! What a prezzie to find under the Xmas tree. I am Italian, well, Sicilian, :) and grew up on Nutella, haven’t had it though since adapting my eating Clean lifestyle, this WILL be my next obsession!!! Thank you! Amazing healthy dessert! I think I will give it a shot! Thanks for sharing this recipes! Oh my goodness….. I just made half a recipe in my Nutribullet because I wasn’t sure how it would turn out. I couldn’t put the spatula down….licked most of it away :). 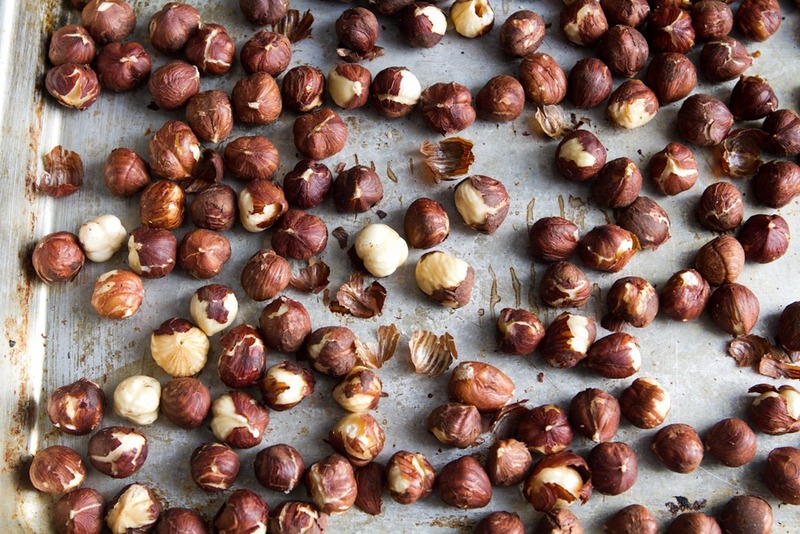 The smoky taste of the roasted hazelnuts comes through. The cocoa powder was just enough. I omitted the espresso because of my kids. It is one of the best nut butter/spread I have ever tasted, and I experiment a lot. Thank you so much! I made the Rawtella at Christmas as gifts and my family really enjoyed it. At home when I make some, it “disappears” really quickly! I’ve noticed I get better results with a food processor than with my Vitamix. I’m curious as to why you chose to do this in your food proc instead of the vitamix. Do you think it would be creamier faster in the vitamix? Maybe too frustrating to get it out? Very excited to try this this weekend! Thanks for this recipe- it’s amazingly yummy! … so yummy I even considered licking the sharp food processor blade to avoid wasting any, but resisted :) I recently discovered that if you put the roasted hazelnuts in a tupperware container with the lid on and shake it, the skins fall off and separate really easily! I made this the other day. Mine was very dry and I kept having to add more oil, and it wasn’t as sweet as I’d hoped, so I had to add more sugar. I’ll have to try it again sometime. Maybe it will work better. France is trying to ban Nutella in the country! We’ll be making this healthier version this weekend!!! Merci! I just made this and it’s amazing! Thank you for the recipe. I have loved every single thing I’ve made from your blog and your cookbook. This sounds so amaze! I’ve had the ingredients for awhile, but haven’t made it yet because I don’t have a heavy duty food processor. Can you use a vitamix? I’ve made this first with carob powder, and now with cocoa, and I have to say I really prefer the version with carob! It gives it a more interesting flavor and it feels richer somehow. I love this idea to try it with carob powder. I have been really into carob lately. Thx for the idea!! I just made this recipe this morning but substituted the coconut sugar for maple sugar as that’s what I had in the cupboard, and it is absolutely delicious! Even my parents approve, which is amazing as they are rarely convinced by any attempts by me to persuade them that raw/palaeo/vegan can be just as tasty or if not then tastier than otherwise. As I was jarring it I thought about how lovely it might be to set up a group called ‘spread the love’ with friends or neighbours where everyone takes turn to make a healthy spread for the group, mixing things up and keeping the ingredients fresh. Thank you!! Hello! I love the way it tastes! I used sucanat sugar because it was all I had. I had it in the food processor but a the bottom piece part of it melted so I had to switch to my vitamix to finish processing. The consistency came out more like a nut butter, not as smooth as your pic. Should I of blended longer? You know, I always wanted to do Nutella for my husband who has a very restricted diet. And finally I could buy the hazelnuts, I didn’t know where to buy it here in my city (Bogotá). The thing is, I found it. I haven’t had the courage to prepare the Nutella, because I can’t use any kind of sugar. Do you think is posible to do it with out sugar? The Rawtella site – http://www.rawtella.com/ – only shows ‘organic skin care’. I don’t see the other products. Yet there is a Facebook site for it? https://www.facebook.com/Rawtella . As a diabetic, I want to know the carb amount it has. Hi Angela! Did you ever post the Zephyr cookie experiment? Would love to try them out! I crave them all the time! I can’t wait to make this! I am working on a gluten free coconut cupcake recipe and I think this would make a fantastic frosting for it. THANK YOU! O.M.G. this stuff is aMAZing. Tastes just like the real thing. I’m not a coffee fan, so I left out the espresso powder. I can’t wait till my hubby gets home and tries it. Love this! 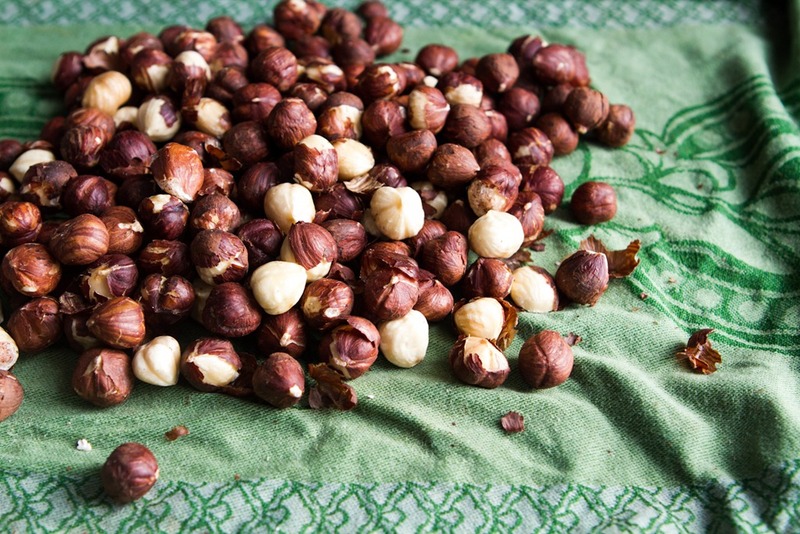 Definitely going to try using sprouted hazelnuts to keep it raw. Thank you! Love your blog but this one didn’t work for me and I wonder why.. the hazelnuts never got to the stage where the skins rubbed off… i think they were maybe a bit burnt. And it never got thick. I did add a bit more sugar. The taste wasn’t bad but was hoping for a spread…. Can’t wait to try this one! I just got your book and I’m so excited!! I can’t decide which one to make first. Hi Tally, thanks so much for the support – I hope you love the cookbook, and enjoy whatever recipe you decide to try first! sounds amazing!! how long it can stay in the fridge ? It should last for at least a few weeks refrigerated, I think. Enjoy! YES I love drinking chocolate!! This would be great as an iced mocha too, omg the flavors :)))) I love making my own nut butters but never think of using them like this – genius!! I just made these last week! So good! Love your recipes! 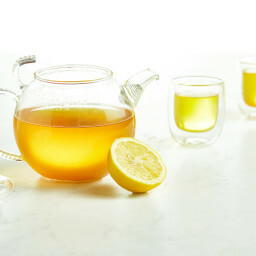 I just made this, using my Vitamix. I’ve never tasted Nutella, so I don’t know how that tastes. I found this to be bitter…maybe I roasted the nuts too long, making them bitter (yes, I got rid of the skins afterwards)…..I didn’t use expresso, I had ground dark roast coffee beans. After tasting, I added cinnamon, more vanilla, bit more salt, just to see if I could make it less bitter. Didn’t really help. I stirred in some coconut, which helped a bit. I guess I just over-roasted the nuts. Oh, well, I’ll try it again, paying more attention to the roasting. Thanks for the recipe, though. I’d love to hear how those little twists on the recipe turn out, Sarah! Hi! I’m new to exploring a vegan diet, but I’m allergic to coconut and was wondering the best alternative for coconut oil and sugar as those appear to be staples in a vegan diet? I’d appreciate any guidance! Thank you! Hi there Tasha, It’s lovely to hear from you! 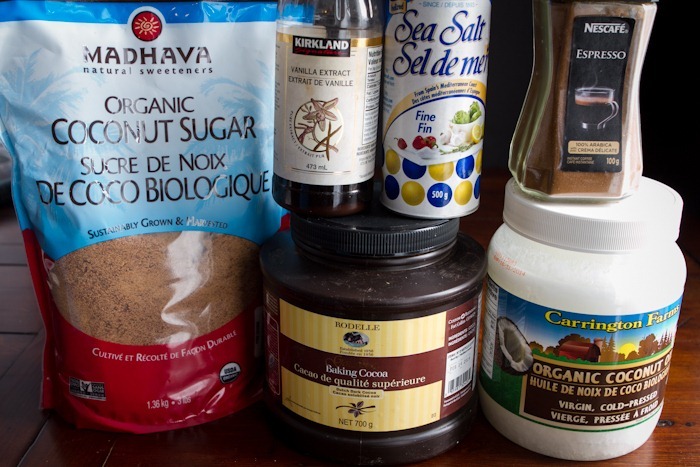 In terms of coconut oil/sugar swaps, it can depend quite a lot on the recipe. Did you have a particular one in mind?